Sometimes, setting a habit, even the good kind (i.e., waking up to go to the gym at 4 AM) seems impossible — but you can always start with a seemingly small effort that ends up reaping big rewards. A perfect example is using this Morning Sidekick Journal to get you moving once you wake up. 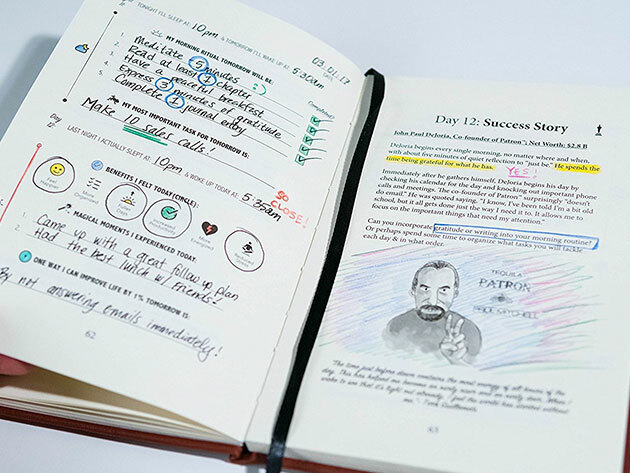 In just three minutes, this little journal helps hack your morning habits into a productivity-enhancing ritual to help you be your most productive self every single day. 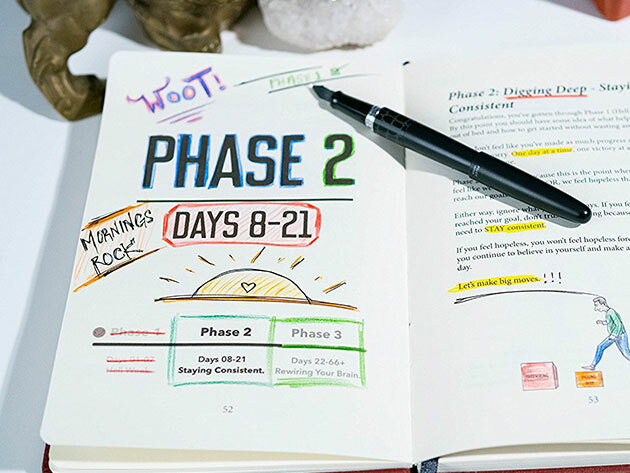 Think of it as a simple, comprehensive tracking system: you write out the specific actions you'll take every morning so you won't waste time daydreaming over cereal or dawdling over what outfit you'll wear for the day. You'll start moving with purpose, so not only will you become incredibly consistent with your daily activity, you'll maintain your momentum with your productivity, energy, and overall health. Read actionable content every morning in digestible bites that you can immediately apply — it's the same reliable, routine-building system used by Olympic athletes, parents, and students alike. Start setting better habits today: get this Morning Sidekick Journal on sale for $24.99 — that's reduced from the original price of $33.90.